Weight gain/Measurements: I was weighing 64.1kgs at my doctor’s appointment on Tuesday so I have picked up in the region 7kgs which I don’t think is too bad. 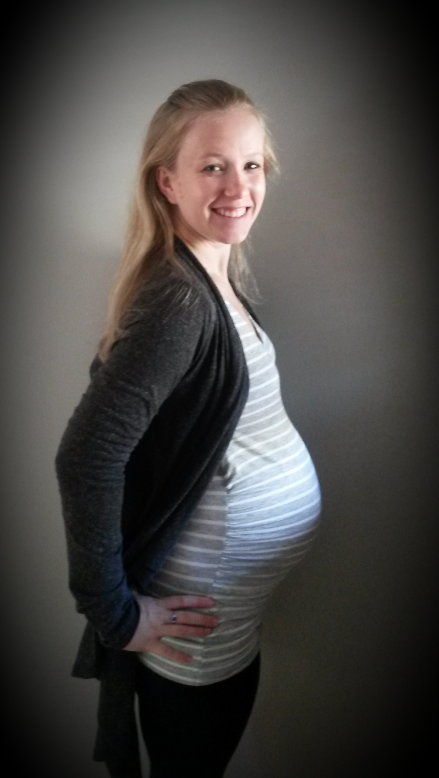 The ever-growing belly is now measuring 98cm around the widest part. Symptoms: The usual third trimester symptoms are out in full force. I have been battling with back ache for a few weeks now (good excuse for a good back rub), which is making sitting for 8 hours a day a bit difficult. I started getting cramps in my legs this week so on a few occasions I have had to have Ryan come and rescue me from a position I can’t get out of and finally I am struggling a bit with acid reflux and heartburn. I can’t really complain because I have so far had a very easy pregnancy and really loving it. Sleep: At the moment I LOVE sleep. Managing to sleep very well in between my 3 hourly bathroom visits. Lets hope this lasts a few more weeks before we have a newborn in the house and don’t get much sleep. Cravings: still no real cravings – beginning to think this is an excuse for pregnant ladies to eat what they want when they want. Mood: I am feeling very happy at the moment. No crazy hormonal moments to report. 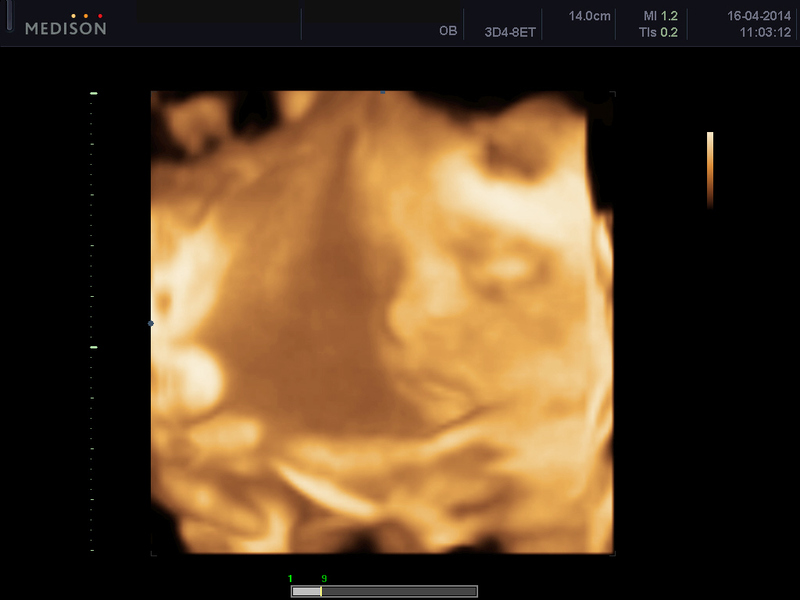 Baby update: Our munchkin is growing nicely and weighing about 2.4kgs already which is bang on an average baby’s weight at this stage. She is lying with her head down but is pretty curled up at this stage. I am feeling lots of movement and he is giving me some strong kicks in the ribs. Best Moment since last post: I had my baby shower 2 weekends ago. We were completely spoilt and I am still totally overwhelmed at how loved our little girl is already. It has been so much fun looking at all the bits and pieces we got.